Add wet ingredients to dry; stir gently just until lumps are nearly gone. If the batter is very thick, stir in 1-2 tablespoons milk as needed. 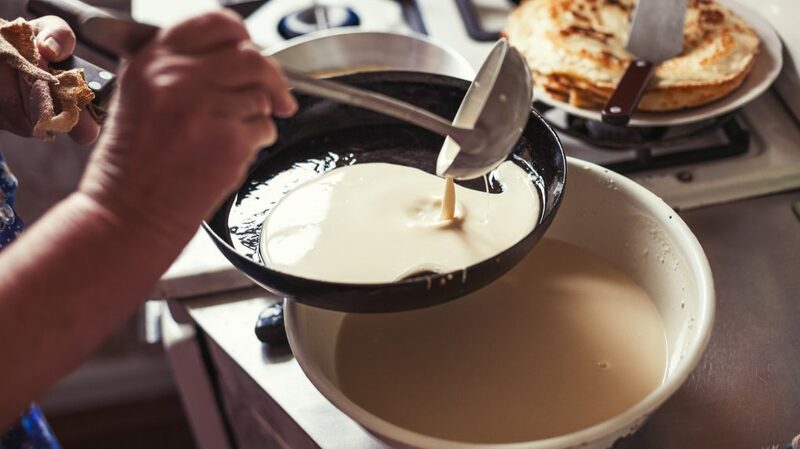 Batter can be used immediately or for best results, let stand 1 hour before baking pancakes.